Yes FINALLY! I can’t tell you how frustrating it has been for me since the day Google Maps arrived. I always wanted to hold down the shift key (like every other modern mapping API) and draw a box to zoom in. With Google you had to use your mouse wheel and really who has a mouse wheel anymore with our notebooks and touch mice. Something had to be done. 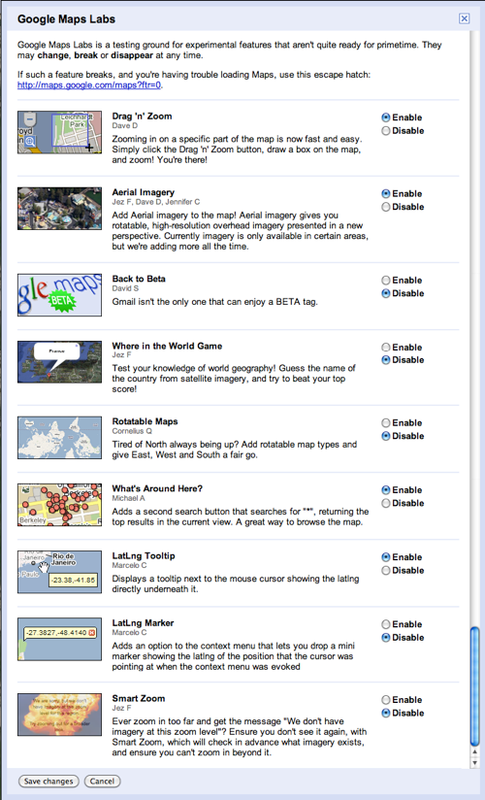 Enter Google Maps Labs. You should now see that little green beaker in the upper right hand corner of your Google Maps screen. Now this was the one I was most excited about until I saw its implementation. See that little square below the zoom bar? You are supposed to click on that if you want to zoom in. You can’t do what is completely obvious to everyone, hold down the shift key. I wouldn’t mind if they had both, but not adding the shift key to enable is totally baffling. But even worse, you can’t use the escape key to get out of the Drag ‘n’ Zoom. You have to move your mouse all the way back over to the left and turn it off. I don’t agree with what Google calls this because I’m sure there is “Aerial Imagery” in their “Satellite” images, but they’ve got 50 Billion in cash and I’m under water on my mortgage. So what do I know? Anyway this is the Google oblique imagery we’ve read about. It is only available in some small areas, but we can now see them outside of the Google Maps API. 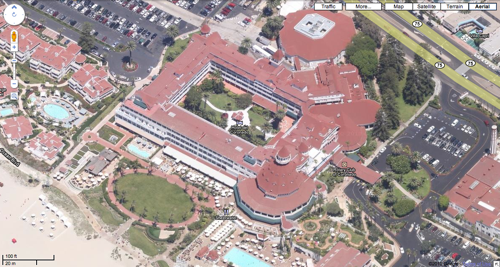 When you zoom to an area that has supported oblique imagery, you’ll see the new oblique aerials button that turns it on. You can use the Drag ‘n’ Zoom to quickly get into an area you wish. The rest aren’t in my opinion that newsworthy but address probably small needs of users. I think this is a good way for Google to get some new features into Maps quicker than their normal release schedule. I just wish they’d get on board with existing UI and naming conventions.